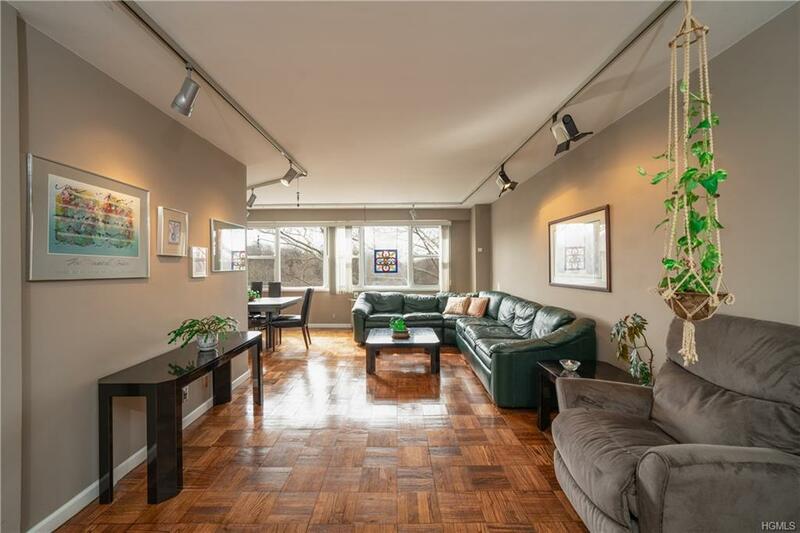 Welcome home to the Garth Essex and this sun-drenched 3 Bedroom, 2 Bath co-op! 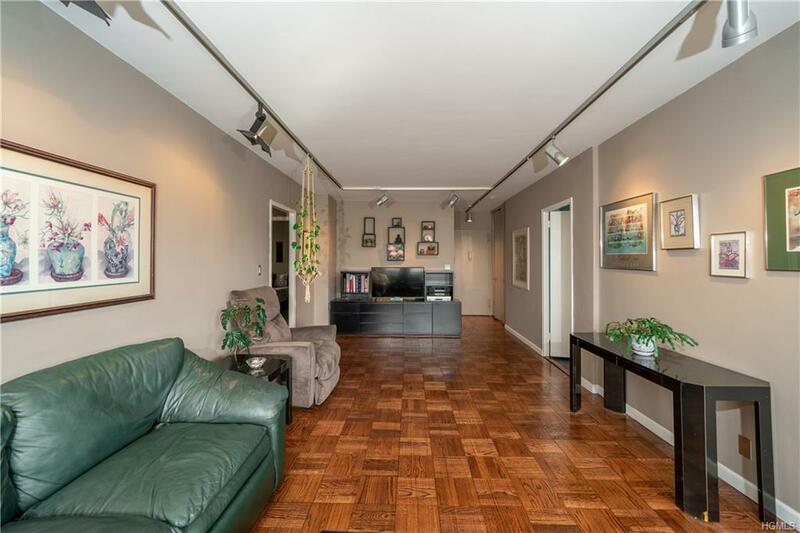 This apartment features recently refinished parquet wood floors in all rooms, except for the master bedroom and 3rd bedroom (parquet wood floors are under the carpet in both rooms), and it's one of the few units in the building with eastern, southern and western exposures. The updated kitchen has an eat-in countertop and a window for ventilation. The two floor-to-ceiling closets in the entry foyer are California Closet designed for extra storage. Other features include a large master bedroom with a walk-in closet and updated en suite bath, as well as central air-conditioning. 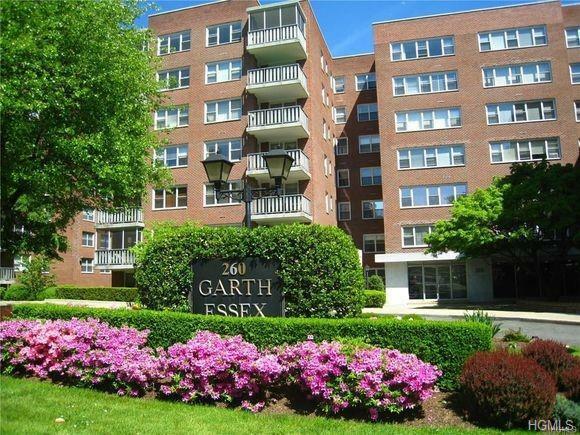 The Essex features a laundry on every floor, and it is a short walk to the Scarsdale Train Station, with its 30 minute express train to Grand Central Terminal. All residents are entitled to a free street parking permit from the town, as well as the town residency rate at nearby Lake Isle, with its 18 hole golf course, 8 tennis courts and 5 swimming pools. Please note this is a non-smoking building. 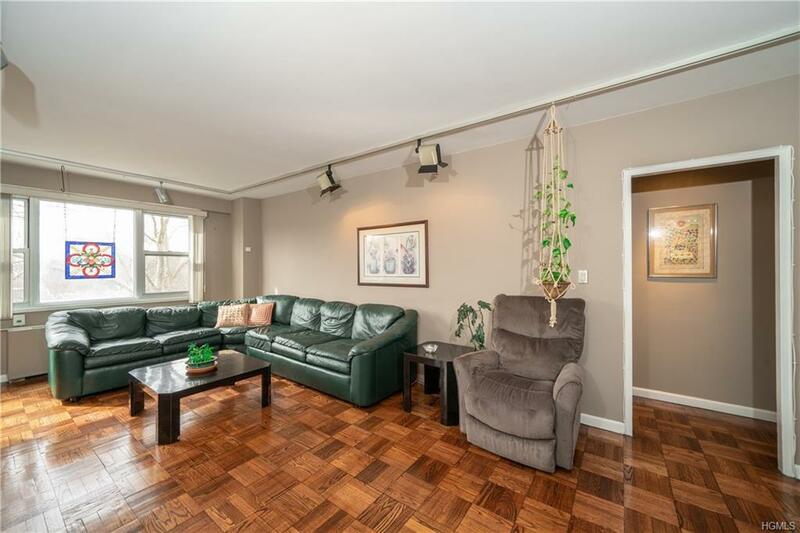 Listing courtesy of Donna Demarco of Claire D. Leone Associates Ltd.